Addressing audiences at the first ever India Mobile Congress, the RIL Chief also added that India will lead the fourth industrial revolution. India will lead the fourth industrial revolution with the telecom and IT industry coming together to lay the foundation of empowering 1.3 billion Indians, Reliance Industries Chairman Mukesh Ambani said addressing the inaugural session of the first-ever India Mobile Congress. Speaking at IMC 2017being held in New Delhi, Ambani said that the Indian economy has grown unparalleled and in the next 10 years, it will reach $7 trillion from the current $2 and a half trillion where, the Indian telecom and IT industry will play a key role in creating digital transformation. "Data is the new oxygen, new oil for 1.3 billion Indians. 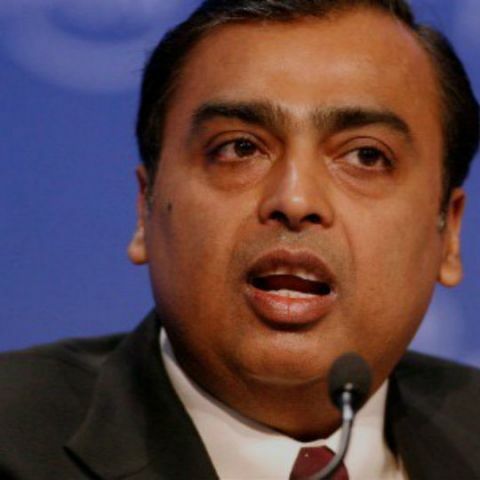 Our aim is to not only provide high-speed data at affordable prices but also affordable smartphones to help people connect better with the Internet," Ambani told the gathering. IMC 2018 paints an optimistic 5G-ready future, but is India really ready for it? According to him, 4G coverage will take over 2G connectivity in India in the next 12 months.